Canberra Hospital failed 33 key criteria earlier in the year. File photo. ACT Health, including the Canberra Hospital, has been re-accredited for a further three years after action was taken to remedy dozens of shortcomings identified by the Australian Council on Healthcare Standards earlier in the year. 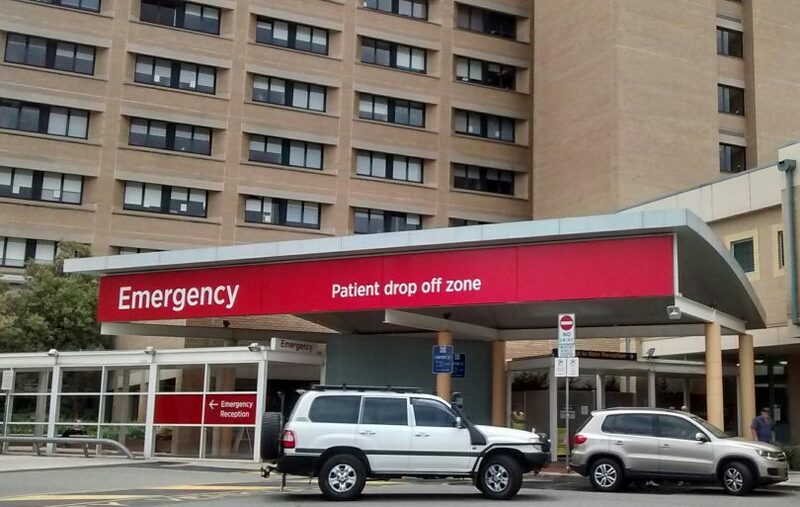 In April, the Canberra Hospital was given 90 days to fix 33 key criteria, including serious governance and patient safety issues identified in an interim report. The report found that the governance system with its lack of clarity, role confusion and poorly defined accountable structures created a high risk for the organisation, and that there was no strategic plan in place. The decision to award National Safety and Quality Health Service Standards re-accreditation follows a survey conducted at Canberra Hospital and Health Services from 3-5 July 2018, which assessed ACT Health against the 33 core actions not met earlier in the year. Minister for Health and Wellbeing Meegan Fitzharris said significant work had taken place over the past few months to improve the organisation’s culture. “Developing a high performing culture where people feel valued and are able to contribute and build effective partnerships is a high priority for ACT Health’s leadership,” Ms Fitzharris said. “As it moves towards its transition into two organisations on 1 October, ACT Health is focused on building a cohesive, values-based environment where collaboration can thrive. She said the decision to reaccredit ACT Health for a further three years was a strong endorsement of the culture and values demonstrated by the organisation in recent months. “The surveyors from ACHS were impressed by the extensive work undertaken and staff engagement, leadership and commitment demonstrated to achieve this result and to drive positive change in the culture of ACT Health,” she said. “They noted ACT Health’s positive culture of cohesion and teamwork and the organisation’s commitment to the delivery of safe and effective care. “These efforts demonstrate the enduring commitment and dedication of our mental health staff in delivering quality patient care,” Mr Rattenbury said. Both Minister Fitzharris and Mr Rattenbury acknowledged the significant work of ACT Health staff to achieve accreditation. “Staff have stepped up to this challenge, demonstrating outstanding commitment to the delivery of safe and effective care to the Canberra community,” Ms Fitzharris said.